Chubby Wise, a well known, influential, bluegrass and country music fiddler, was born October 2, 1915 in Lake City, Florida into a musical family. His father was a fiddler and Chubby backed him with guitar and banjo until the age of 15 when he started playing the fiddler. When living in Jacksonville, Florida, he drove a cab during the day and played the fiddle at night. While in Jacksonville, he and a fiddler friend, "Ervin" Rouse, were inspired to write the fiddle tune Orange Blossom Special. In 1942 he became a member of Bill Monroe's Bluegrass Boys and the following year became a member of Grand Ole' Opry. In the 1950's he worked with a variety of bluegrass and country music bands and in 1954 he became a member of Hank Snow's Rainbow Ranch Boys and was with Snow until 1970 when he started as a freelance fiddler. He was in many recording sessions with a wide variety of singers and bands playing not only bluegrass and country music but also western swing. There are many albums featuring Chubby Wise as the recording artist. he died at the age of 80 on January 6, 1996. 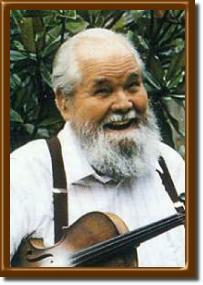 Chubby Wise was inducted into The National Fiddler Hall of Fame in 2011.